It was a magical day for the students of Government College (Junior) Ikoyi as they played host to the World Tennis Champions, Venus and Serena Williams courtesy of Proctor & Gamble. 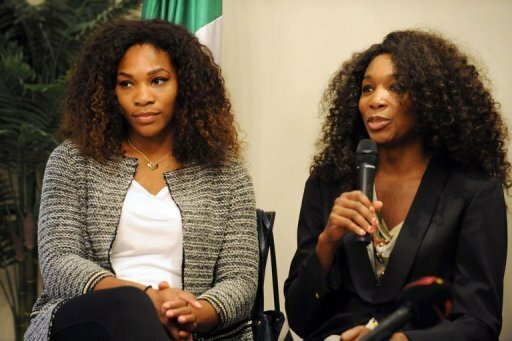 Venus and Serena Williams spoke to the girls about a wide range of issues, from their ambitious beginnings to the secret behind their success as Tennis players. The sisters stressed on family, and the need for older sisters to set the right example for their younger ones. from a very tender age. The Williams Sisters are in Nigeria to provide encouragement, motivation, and empowerment for the African girl child and women in general – so the decision to visit the young women of Government College Ikoyi was inspired by the message of the Breaking The Mould campaign. Be ur brother's keeper cos we r all going home one day, dr 4, let's help d little girls 2 reach there peak, morever, d grtr lagacy one could live behind is d investment in humanity.